Spotted in London. Two cycle paths next to each other. Take your choice. Share the pavement with pedestrians and dogs on leads, or share the road with taxis and lorries passing close by. Neither seem particularly appealing from this photo. I like to cycle relatively fast. On shared pavements, you feel out of place going above 10 mph. 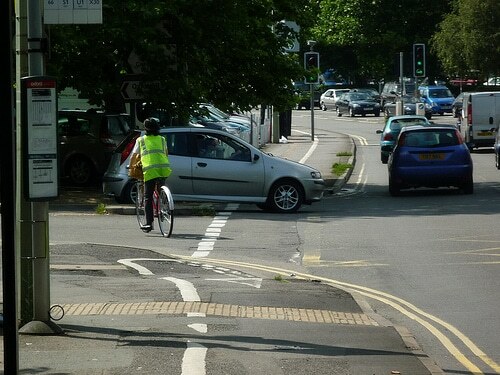 You often get pedestrians in the middle of shared pavements, and they rarely have a sympathetic view of cyclists. The path on the left looks a little dodgy in the wet navigating the change of surfaces. At least they haven’t built a lampost in the middle of the cycle path. 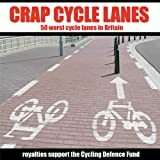 The main reason I avoid shared cycle paths are all the junctions which go through the cycle path. I’d never trust a vehicle to respect the cycle path. So effectively you have to give way all the time. You can see what I mean on Botley Road. 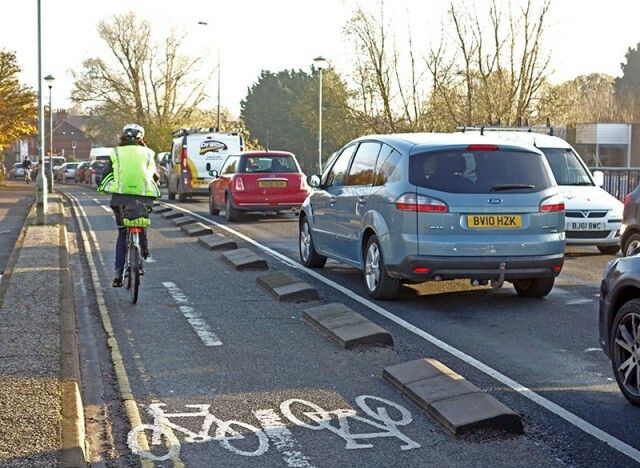 Still some people may much prefer this to the road, so it might encourage some people to start cycling who otherwise wouldn’t feel safe on the road. It’s easy to complain and wish we had something perfect. 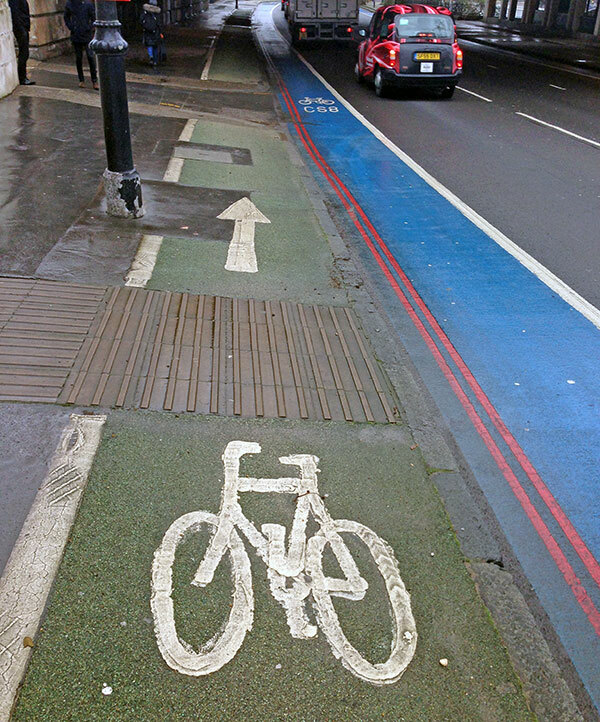 You can imagine some town planner saying – we provide two cycle paths and they still complain! Perhaps one merged together separated from the road would be best. Not sure how much protection a blue foot of paint and a white line are. Oxford leads the way! on Donnington Bridge anyway. Better than no cycle paths. Still better than nothing. It’s harder for people to say cyclists don’t deserve to be on road / pavement, when you have cycle paths. p.s. thanks to parents for photo from London.